Perfect Binding is “Paper-Back” binding. 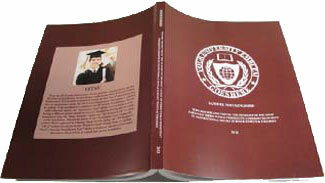 The cover consists of one piece of cardstock, printed with the information or graphic of your choice. 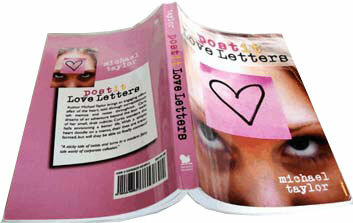 The cardstock is then glued to the spine of your document and wraps around it as shown in the examples below. Perfect binding provides you with great flexibility. 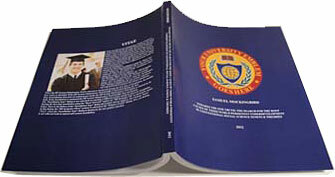 You can print in full color any information or design you want on the wrap-around cover. 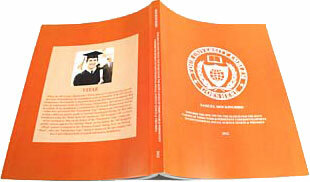 If you can provide the file for your design, we can print it. 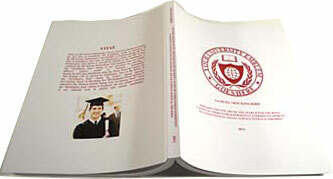 Otherwise, we can design simple layouts that consist of your college Seal, your Name and Title of your document on the cover, and your Name, Title, and Year of Graduation on the spine in any of the styles shown here. 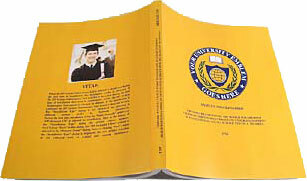 On the back, we can print your Vitae or any other information you supply, including full color photographs. Just tell us your colors and how you want your layout made in the ordering process. 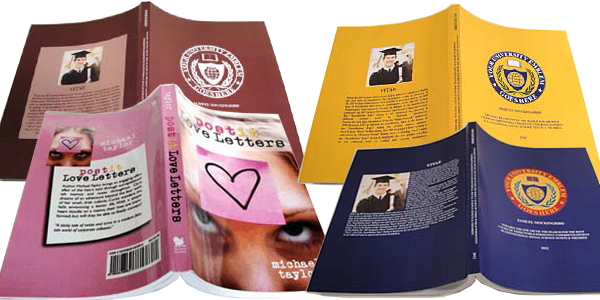 * Note that after we receive your Perfect Binding or Printed Case Binding order, we will email you a PDF proof of your cover layout. You can approve the proof or ask for changes to be made. But we cannot complete your Printed Case Binding or Perfect Binding order until we get your approval. Don’t worry, this will not delay the completion of your order if you respond promptly.